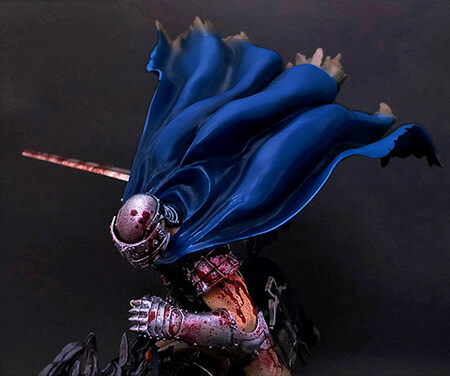 April 14th, 2013 By: GGT Category: 2013/06 release, 2013/07 release, Figure News. 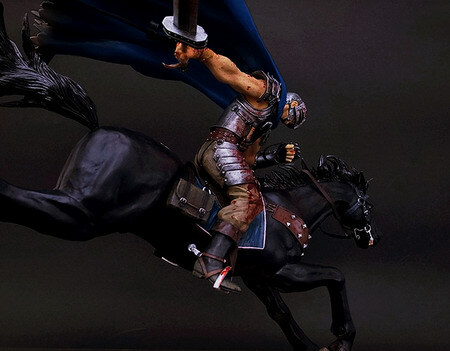 Art of War is going to release the Guts ( ガッツ ) The Battle for Doldrey 2013 Special Blue Version ( ドルドレイ攻略戦 青マントVer. ) 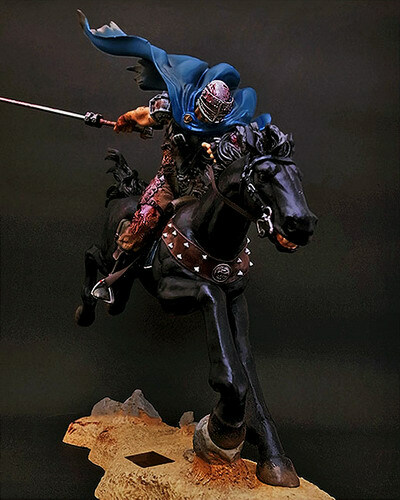 1/10 Polystone figure from the manga/anime “Berserk” ( ベルセルク ). Will be released in June-July 2013. 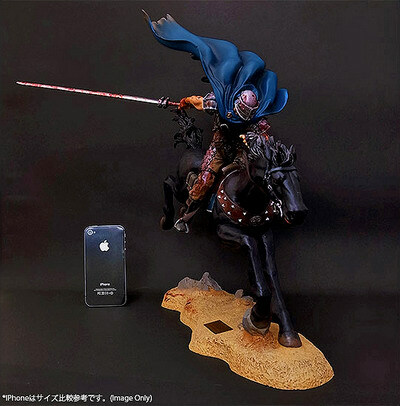 Around 362mm x 340mm x 350mm (with base), 64,800 yen. Only 20 pieces will be available. Each figure attached a nameplate with serial numbers 1~20. 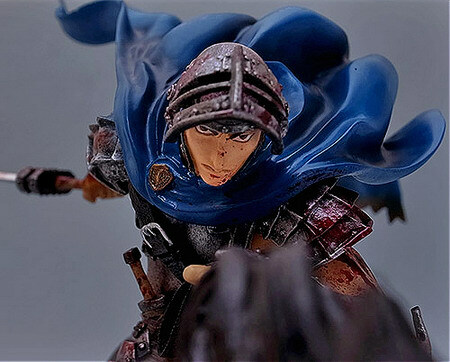 Since we have received many enquiries of “Guts: The Battle for Doldrey/ 1:10 scale” from the new Berserk fans and our customers, we decided to do this Blue re-painting version as our feedback. 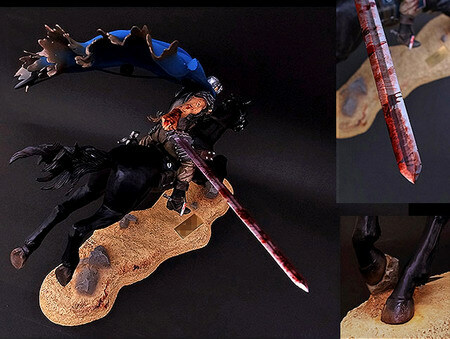 For “Guts: The Battle for Doldrey/ 1:10 scale”, our original design for the color of Guts’ mantle was blue. 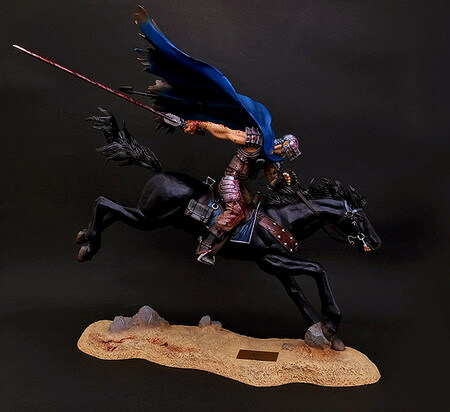 We changed the blue-green into scarlet in order to show the high tension in the Dolerey war, but we still could not give up the idea to give Guts his blue mantle. 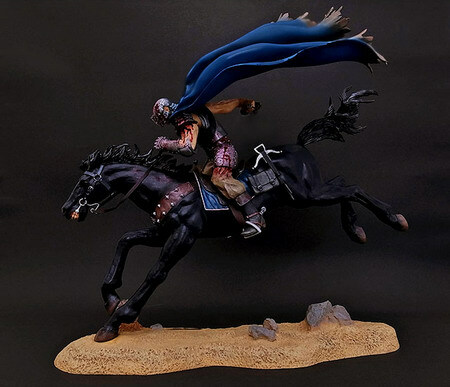 The change of the color may change the whole image of the statue. 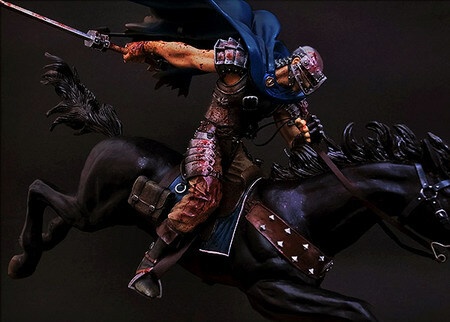 In the scarlet mantle, Guts seemed like a brave, hot-blooded young soldier galloping on the battlefield, but when we changed the mantle into the dark blue-green, the battle became cold-bloody and we could feel the desperate deep in Guts’heart that makes him throw his body and his soul into fighting. This special blue version will lead us to recognize the restive young boy again. 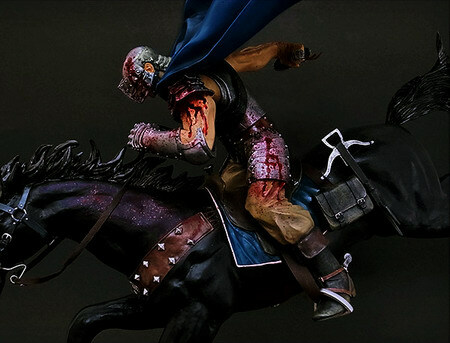 New designed blood effects will also be attached. 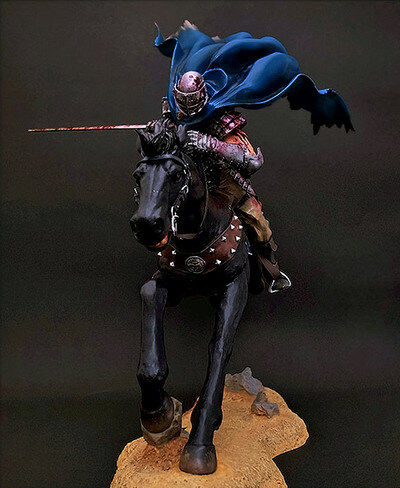 Hope you will like this special version.